Haswell processors for Ultrabook are a highly integrated combination of CPU, GPU, busses, interface controllers and power control. By bringing everything together under one roof, on just a few bits of integrated silicon, you get many advantages. Intel have implemented new power saving states on Haswell and combined with other refinements it brings the processor under control like never before. The next wave of highly integrated Connected-Standby Ultrabooks will be even better but even a relatively simple design refresh like the Dell XPS 12 here gets a massive advantage. The Dell XPS 12 has returned the lowest idle battery usage figure we’ve ever seen on an Ultrabook. At 2.9W with the 12.5″ 1080p screen on (everything else turned off. E.g. WiFi, BT, keyboard backlight, audio mute, power saving mode) it’s 40% better than the lowest figure we measured on the Ivy Bridge version of the XPS 12. That’s 2W stripped off before you even start. Haswell is built to work in certain scenarios where it can lock down parts of a system that aren’t being used. Video playback is one scenario, for example. In other situations, mainly mixed-usage ones that are often close to a standard users usage profile, won’t get as much of an advantage. Web-based video playback operations, for example, may not benefit so much and in gaming scenarios where the CPU has no chance to idle, we can’t expect much improvement; Certainly in percentages anyway. We ran a number of detailed power usage tests on the original XPS12 so running these again shows up some interesting figures. 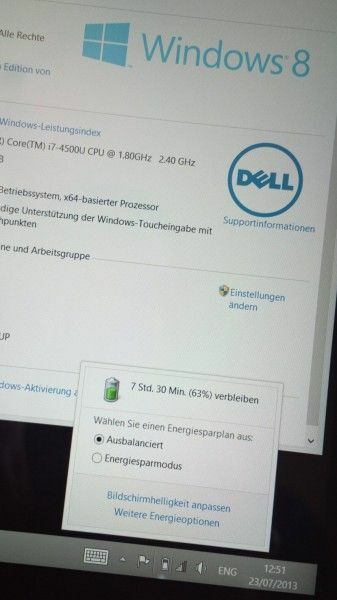 Dell XPS 12 (Haswell) power usage test results. The first thing to note is that the screen low-to-high brightness power usage seems to be improved. Without taking the Dell XPS 12 apart there’s no telling if it’s a different screen but we doubt it very much on this refresh. Maybe panel self-refresh has been implemented but if our measurements are correct, the screen is responsible for some improvements in the battery life. Background drain on desktop idle is down by about 2W with 1.5W screen off (desktop active) being the lowest figure we’ve ever measured on a X86 laptop or netbook (apart from Clovertrail-based Windows 8 devices) over the years of UMPCPortal and Ultrabooknews. There are a couple of scenarios which show great improvements and the showcase figure is with video playback where the previous 12.8W figure (4hrs) is now 8.2W for over 6 hours of playback – a 50% improvement in video playback time. The local MP3 playback figure improves from a normalised (50Wh battery) 6.1hrs to 10 hours – a 63% improvement in audio playback time. Web-working power usage is one of the more interesting areas for the average user and it’s interesting to see that the average power used has dropped from 9.2W to 7.4W – 20% less power consumption for 24% more (normalised, 50Wh) battery life in this scenario; Nearly 7 hours for a gentle web-based session. Given that mixed usage scenario, this is quite impressive for a Core i7 dual-core running up to 2.4Ghz with HD4400 GPU, 8GB of RAM and a 256GB SSD. This is not a netbook, this is a desktop-grade system. YouTube video playback is another mixed-bag of processor usage. The system will be using audio, video, CPU, GPU and memory at the same time and the results show that this can be a very heavy scenario for a platform. Chrome 28.0 shows a shockingly high power usage of 14.6W. Metro IE, on the other hand, does it in 9.3W which is just 1W higher than the playback of a local media file and very impressive. Audio stream over WiFi. Screen Off. The battery life advantages don’t come with any trade-off and in Cinebench tests we saw figures that were slightly better than the average Ivy Bridge Ultrabook. We’ll report more about performance in a follow-up article. Dell have done a good job with noise-reduction and cooling. It’s possible to work, carefully, without the fan coming on at all with the Dell XPS 12 making a totally silent machine. High-end video playback and extended web-working or even just warm environments could cause the fan to come on though. The XPS 12 with Haswell is a ‘simple’ refresh that brings massive advantages. Dell haven’t taken the chance to re-design the system and make it smaller or lighter which is a shame because the tablet mode suffers somewhat due to the weight here but the advantages of the upgrade to Haswell mean that the XPS 12 is a more interesting purchase now, especially for those on the road. You’ll get 10 hours typing out of the XPS 12 with no problem and if you’re connected to the web, expect 7hrs of web working. As you go up the scale of workloads the advantages will get smaller so don’t expect too much improvement in gaming battery life (which we haven’t had a chance to test yet) or in video editing scenarios. The problem for the Dell XPS 13 is that all the manufacturers are likely to do the same to some of their Ultrabooks and there’ll also be a set of new designs coming in that will be built from the ground-up around Haswell. In the future we’ll see Connected Standby capable devices and the Y-series of Haswell processors for even smaller convertible designs. We expect the Dell XPS 12 with Haswell to be a popular choice though and because this is just a refreshed model, Dell should be able to keep the price competitive over the rest of 2013 and into 2014. Haswell seems to be ideally suited for ultrabooks (portables) and Dell has indeed scored with this one. I may purchase this soon enough. Thanks for the review – was waiting for the battery tests. I wanted to buy this PC at one point…until I actually saw it. It is massively ugly, none of the leekness of other ultrabooks ( Sony vaio duo series, asus ux31a, acer s7 , samsung s9). It is very ugly. Agree. 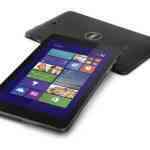 It’s a bit like the Latitude 6430U which is an awesome ultrabook but very basic looking. how is the trackpad on the xps 12 refresh .. i have heard there were problems with the old one..? I used to be suggested this website by way of our relative. I will be not beneficial whether this set up is definitely written by him or her because who else learn these correct close to my personal difficulty. You might be great! Thank you! 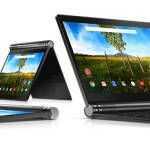 « Lenovo Ideapad U330 Touch With Haswell Now Shipping for 699 Euro.